Every November, men from all around the world grow their moustaches out to raise awareness of men’s health issues that too often go undetected and undiscussed, such as prostate cancer and mental illness. But whether or not you’re planning to sport a moustache this year, you’re welcome to come join us for our very own month-long online Movember Rave party and win yourself some splendid in-game prizes. There’s heaps to be won, so read on for more details on this event! Can you defeat the Moustache Musketeers? At the end of this week’s tournament, they will face off against the top 2 teams in a special Bonus Round. Should the teams be able to beat this nefarious gang, a nice cache of premium equipment awaits! IMPORTANT: The top 2 teams will be invited to a final showdown with the Moustache Musketeers during Super Moustache Week on 30 Nov 2017, Thursday, 19:00 UTC +8. Therefore, these 2 teams will not be permitted to participate in subsequent Movember Rave tournaments. All Movember Rave tournament participants will receive special Battle Missions that award Crew EXP bonuses for your performance in tournament battles. Make sure you join all 4 weekly tournaments to unlock further cool rewards as Master of the Stache! 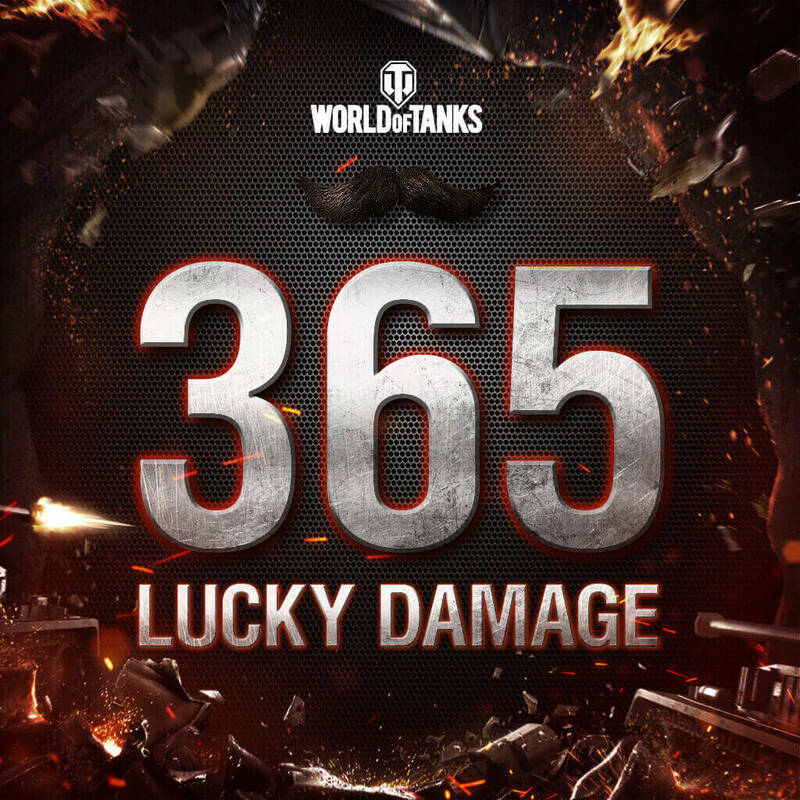 Tier VI tanks… with moustaches?! Each week this month, a mystery moustachioed machine will be featured, with a special Lucky Damage mission for you to complete! Will you be lucky enough to accomplish them all? If you participate in any of our casual tournaments this week and manage to deal an amount of damage that fulfils the conditions of the weekly mission, you stand a chance to win one of the lottery prizes! Check out the Weekly Mission section on this page for more details. Take a screenshot of the battle result page. Not as impenetrable as the Walrus, but much more challenging to pull off, the Horseshoe moustache is certainly not for beginner moustachios. Similarly, the Medium tanks you’ll need for this week’s mission may have less HP to go through than Heavies, but can still shine in numerous ways with their added mobility! Tank Play: Fulfil all conditions above + deal 365 or more damage. Box Play: Fulfil all conditions above + deal a damage number that contains the numbers 3, 6, and 5 in any order (365 damage does not count).